Ting Xu received his B.E. in Electrical Engineering and M.S. in Biomedical Engineering from University of Science and Technology of China in 2005 and 2009, respectively, and his Ph.D. in Computer Engineering from Lehigh University in 2016. His research interests are computer vision, machine learning and computer graphics, with applications in biological and medical image analysis. Advised by Prof. Xiaolei Huang and Prof. Dimitrios Vavylonis, Ting developed methods and tools for extracting and tracking the geometry and topology of multi-dimensional biopolymer networks from fluorescence microscopy images and time-lapse sequences. He is the developer and maintainer of the SOAX and TSOAX software. Ting currently works as an imaging scientist at Konica Minolta Laboratory in San Mateo, CA. An open source software extracting the geometry and topology of multidimensional curvilinear networks commonly found in biomedical images. For more information, please go to SOAX website. T. Xu, C. Zhou, and X. Huang, "Model-based curvilinear network extraction toward quantitative microscopy", Biomedical Image Segmentation: Advances and Trends, CRC Press, 2016. T. Xu, D. Vavylonis, F. Tsai, G. H. Koenderink, W. Nie, E. Yusuf, I-Ju Lee, J.-Q. Wu, and X. Huang, "SOAX: A software for quantification of 3D biopolymer networks", Scientific Reports 5, article 9081, 2015. 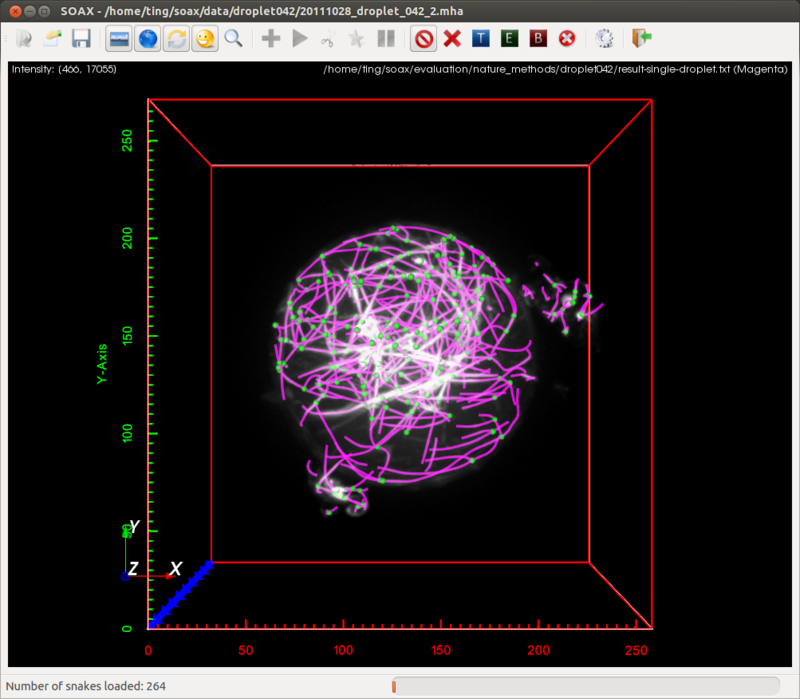 T. Xu, D. Vavylonis, X. Huang, "3D actin network centerline extraction with multiple active contours", Medical Image Analysis, 18(2):272-84, 2014. F. Li, T. Xu, D. H. Nguyen, X. Huang, C. S. Chen, C. Zhou, "Label-free evaluation of angio-genic sprouting in microengineered devices using ultrahigh-resolution optical coherence microscopy", Journal of Biomedical Optics, 19(1), 016006-016006, 2014. T. Xu, F. Li, D. H. Nguyen, C. S. Chen, C. Zhou, X. Huang. "Delineating 3D angiogenic sprouting in OCT images via multiple active contours", MICCAI-MIAR, LNCS 8090, 231–240, 2013. T. Xu, H. Li, T. Shen, N. Ojkic, D. Vavylonis, X. Huang. "Extraction and analysis of actin networks based on open active contour models", Biomedical Imaging: From Nano to Macro, 2011 IEEE International Symposium on, 1334–1340, 2011. T. Xu, H. Li, T. Shen, D. Vavylonis, X. Huang. "Extraction and analysis of 3D cytoskeletal networks based on open active contour models", Molecular Biology of the Cell 22, Abstract 237, 2011.